Looking to export products from Ireland but don't have the foggiest idea on how and where to get started? Export Portal encourages the promotion and growth of exporting Irish goods around the globe to bring global importers, buyers, wholesalers together with Irish exporters, Irish suppliers and Irish manufacturers. Irish companies wishing to export and expand into international markets as well as those interested to purchase products made in Ireland online are invited to join Export Portal, one of the leading trading portals. Ireland belongs to the most beautiful countries in the world seen through its landscapes and its people. The country’s trade has been the reason for the Ireland’s prosperity, its exports being the nation's main source of economic growth. For instance, the country is one of the top exporters of pharmaceuticals and software. World-famous pharmaceutical companies, such as Abbott, Pfizer and Allergan produce everything from Botox to drugs for diabetes and HIV. 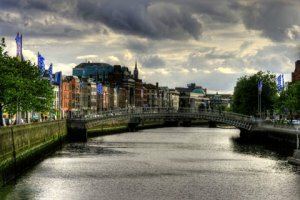 What is more, large-scale operations by top companies such as Hewlett Packard and Intel has made Ireland the second largest exporter of software and computers. Irish cheese, Irish beer, Irish jelly beans or Irish dog food, form another major portion of Irish exports. Exports remain the primary engine for Ireland's growth. The country is one of the biggest exporters of pharmaceuticals in the world (28 percent of total exports). Other exports include organic chemicals, data processing equipment and software and food. Main export partners are United States, United Kingdom, Belgium, Germany, France and Switzerland. Export Portal is the meeting place for Irish exporters and global buyers and importers. Export Portal is one of the biggest platforms for global trade serving hundreds of thousands of importers and exporters around the world. If you are interested in importing goods to Ireland, visit our website, which will help you easily locate global sellers and directly negotiate over their goods. We have already helped thousands of Irish buyers import products and transact business successfully over Internet. Ireland's top imports are refined petroleum, packaged medicaments, planes, helicopters, spacecraft, computers and crude petroleum. The top import partners are the United Kingdom, the United States, Germany, the Netherlands and China. Our online platform features the widest assortment of products from thousands of U.S. and international brands across diverse categories like Apparel, Mobiles, Computers, Electronics, Food, Watches, Furniture, Cars, Trucks, Bikes, Office Supplies, Health and more. Grab your favorite products and we will help you import them easily and safely to Ireland. Address: Padraig Crowe Planning Division, Customer Service Policy Unit, 1st Floor, Bishop's Square, Redmond's Hill, Dublin 2. 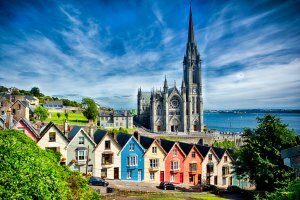 Ireland is an island in the North Atlantic, separated from Great Britain by the North Channel, the Irish Sea and St George's Channel. The country is a member of the European Union, Council of Europe, WTO, World Customs Organization and other international organizations. Importation of products from another EU state is no longer required to make a customs entry. There is requirement to complete an Intrastate supplementary declaration if EU imports exceed an annual value threshold. Importing goods from outside the European Union need to be declared by making an entry and delivering to Customs. Approved traders and agents can input this data directly into Customs' computerized entry processing system, known as Direct Trader Input. As part of the "SAFE" standards advocated by the World Customs Organization, the European Union has set up a new system of import controls, the "Import Control System", which aims to secure the flow of goods at the time of their entry into the customs territory of the EU. This control system, part of the Community Program eCustomer, has been in effect since January 1, 2011. Since then, operators are required to pass an Entry Summary Declaration to the customs of the country of entry, prior to the introduction of goods into the customs territory of the European Union. Ireland applies EU tariffs that are based on the international Harmonized System of product classification. When importing goods you must pay any charges of duty, VAT, levies, which are liable under Irish or EC law. You can defer paying most import charges for an average of 30 days. To be approved for deferment, you must meet certain rules and agree to pay by direct debit. Excise taxes are levied on a limited number of products: gasoline, diesel fuel, spirits, beer, wine, bottled water, cider, tobacco, motor vehicles, liquid petroleum gas. The excise rates vary depending on the products. The tax is imposed whether the goods are manufactured in Ireland or imported from EU or non-EU countries.